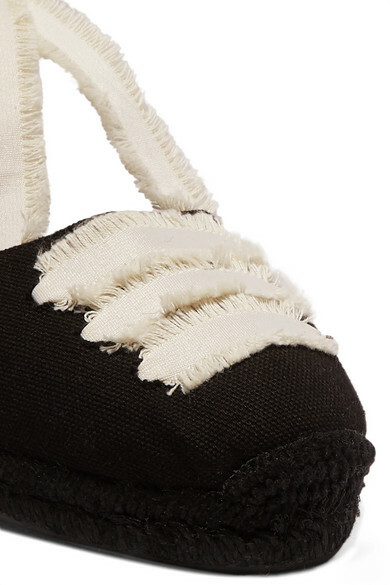 Castañer's 'Coralia' espadrilles are the perfect choice for sunny climates. Designed to be lightweight and comfortable, this wedge pair is made from breathable black canvas and woven with frayed cream laces that wrap elegantly around your ankle. They'll work with flowy dresses and denim alike. Shown here with: Lisa Marie Fernandez Top, Lisa Marie Fernandez Shorts, Carolina Santo Domingo Tote, Dinosaur Designs Earrings.